Manor Way was one of the first new roads to be designed in the Boreham Wood Estate. 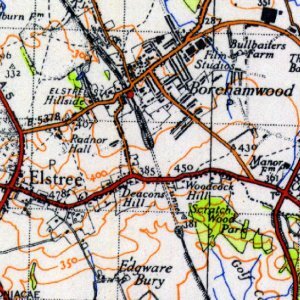 Just before the Second World War, there were already plans for Borehamwood to expand, To the south of the newly-built Elstree Way, a upside down Y shape pattern of three new roads was laid out. Manor Way led from Elstree Way to a new roundabout where two other new roads met - Cranes Way and Ripon Way. Cranes Way led from the roundabout to Furzehill Road and Ripon Way from the same roundabout to the A1. The roads, having been laid out, stayed largely as untarred chalk outlines during the 1940s as the war effort took the emphasis of planning away from house building. 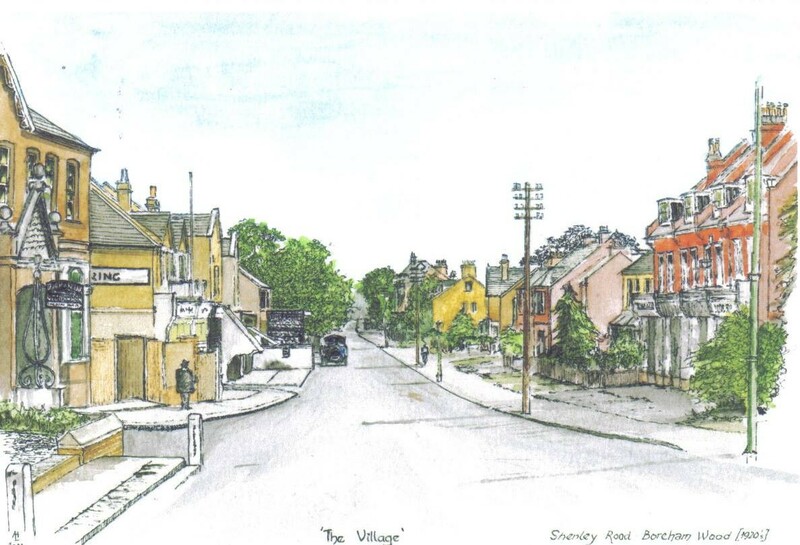 Manor Way had been designed to link proposed new housing with the industrial estates which had already sprung along Elstree Way to the new roundabout where a new community centre (later the Three Ways Community Centre) was to be surrounded by a small park. 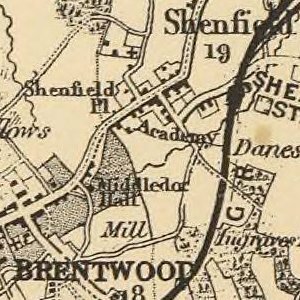 But after the war, Borehamwood was earmarked out to be an overspill town. With bombed out families in London proper and still more in what was deemed to be "slum" conditions, London County Council (the LCC) built 4000 houses on the east side of Manor Way - the ’Boreham Wood Estate’. The LCC were responsible for the new house building south of Elstee Way, which progressed rather slowly due to a series of ill-tempered labour disputes. In 1953, the south part of the new Estate was largely complete - some two years late. Flaws in the planning meant that this part of the new town was without shopping facilities. Bus routes were rerouted around the Estate to take people to the still small-scale shopping in Shenley Road, or on to Watford and Barnet. John Laing, to be instrumental in the construction of the north side of Borehamwood later in the 1950s, finally gained a contract to build a row of shops in Manor Way which solved the immediate shopping issues when complete. In the mid fifties, a pub - the Bull and Tiger - completed the new area, situated at the Ripon Way/Cranes Way roundabout.